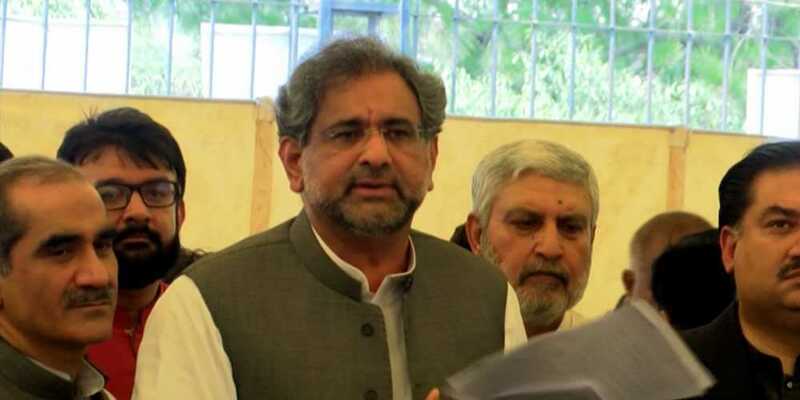 Former prime minister Shahid Khaqan Abbasi on Monday said that dams were not constructed through money collected in charity drives. Speaking to media representatives he said the solutions of the country’s problems did not lie in money, but in rectifying the system of governance. “Dams are not built through tall claims either,” he added. It is pertinent to mention here that the Lahore High Court (LHC) on Monday issued bailable arrest warrants for Shahid Khaqan Abbasi in a case pertaining to sedition and violation of his oath as the prime minister. The court also ordered Abbasi to pay one million rupees in surety bonds. Abbasi said he respected the judiciary and he would appear in the next hearing of the case to defend himself.